While by no means unique to Israel, with less space than most to work with, it is happening a little faster there – population overload. While some feel it is too late to do anything to alleviate the problem, one growing group of Israelis is putting its energy into making a bid to re-educate the public about the need for stabilization, as opposed to growth. One of the leaders in the group is Prof. Alon Tal, chair of the department of public policy at Tel Aviv University (TAU). Tal was born and raised in North Carolina before making aliyah after high school, at the age of 20. A father to three daughters, Tal decided to move to Israel, as it seemed like a unique and exciting place, and he wanted to take his Jewish identity seriously. Tal is at the forefront of Israeli leaders calling on the Israeli government to adopt a policy that stabilizes the population. While most Israeli Jews are raised with the fear that the Arab population will outgrow the Jewish one, Tal is trying to make people aware that there are lower fertility levels being seen in most populations, including Arab ones, while Jewish are on the rise. A main thrust to all this need for change, Tal said, is the alarming rate of vanishing nature. When the Independent contacted Tal to be interviewed for this article, he was en route to the official opening of a new museum at TAU – Israel’s Museum of Natural History. Tal has helped write new laws and has also been involved, indirectly, with Israel’s National Nature Assessment Program (NNAP). Recently, the first State of Nature report came out, explaining how construction and agricultural development have introduced some invasive species to Israel – to the extent that several bird species in southern Israel can no longer survive. NNAP has established a program that operates out of the new museum, as part of a joint initiative with Jewish National Fund Israel, the Environmental Protection Ministry, and Israel Nature and Parks Authority. Its mission is to promote proper land management based on the science of open areas with Israel’s biological diversity in mind. Although Tal acknowledged that the need to do these things is not news to many people, he is adamant that it must continuously be communicated in different ways to get to the tipping point of producing change. “I was on television three times this week,” he said. “Every time I’m there, I mention what’s going on. I’m doing what I can do. Everyone needs to make a contribution. Tal plans to keep meeting with every willing influential person in order to educate enough people to swing the pendulum towards restoring nature. He anticipates that the new museum will be helpful in this regard. For more information, visit population.org.il. On Nov. 15, some two dozen swimmers made the seven-hour trek across the Dead Sea, starting from the Jordanian side and swimming to the Israeli. The demise of the Dead Sea is not news. According to the group EcoPeace Middle East – a Jordanian, Palestinian, Israeli environmental peace-building organization – the sea has receded by 25 metres in the last three decades and has lost a third of its surface area. Yet, hope remains. Co-sponsoring the event with EcoPeace was Tamar Regional Council in Israel. “A group of Israeli swimmers approached EcoPeace last spring with an idea to do a first-ever event – to swim across it [the Dead Sea]!” said Mira Edelstein, project coordinator of EcoPeace’s Jordan River Rehabilitation and Save the Dead Sea projects. 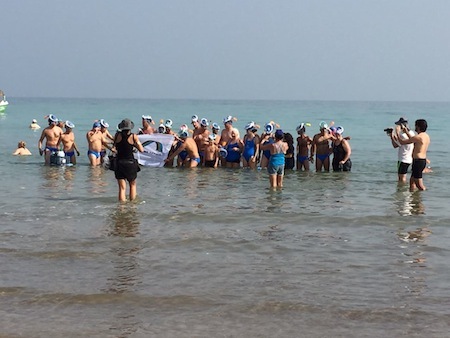 “Not only were they looking for an idea to follow their previous success in topping a Guinness record – swimming from Cyprus to Israel – they also sought a way to raise awareness about the need to save the Dead Sea. 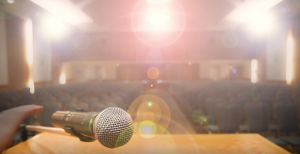 The event generated an unprecedented amount of media attention and EcoPeace hopes this will help its ongoing efforts to get local decision-makers to take action on the issue. “We’re also being approached by several other organizations to do other cross-border events – bicycle event, music event, art event, etc. – and we’ll review all of them to see which is more feasible and which will give us the best results,” said Edelstein, who was born and raised in New York and made aliyah in 1993. She now lives in Gan Yavne, which is near Ashdod. 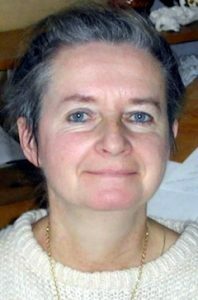 She joined EcoPeace in 2004. Edelstein explained that the threats to the Dead Sea are coming from two directions. “First is from the north,” she said. “Historically, the main inflow to the Dead Sea has been the Lower Jordan River. And, with the diversion of more than 95% of the Jordan River’s water by Israel, Jordan and Syria, leaving a meagre five percent to reach the Dead Sea … no wonder the Dead Sea is shrinking – by more than a metre a year. “EcoPeace is working extremely hard to rehabilitate the Lower Jordan River back to at least a third of its historic flow, not only for the river’s own integrity – this is the holy Jordan River! – but we’re doing this for the Dead Sea as well. EcoPeace is working to change this; however, discussions about extracting minerals using systems based on desalination technologies (reverse osmosis) have come to a standstill, as they cost money, while evaporation is free. With the Israeli mineral industry’s contract with the state on its last leg, Edelstein is hopeful that a new contract will include putting a price on the Dead Sea’s water. “EcoPeace is working very hard to get a bill passed through the Israeli parliament wherein the Dead Sea Works [part of the company ICL Fertilizers] will need to pay for the amount of water they use,” she added. With both the Jordanian and Israeli governments working closely, mainly on furthering the canal project, EcoPeace applauds the joint efforts, but does not see the project as the solution. For more information about EcoPeace, which was formerly called Friends of the Earth Middle East, its Dead Sea and other projects, visit foeme.org. When Inbal Len Nenner arrived in Vancouver last year from Israel, she fell in love with the natural environment, as well as its people. “I met the nicest people in the world,” she said. When JCC Camp Shalom met Nenner by chance at the Jewish Community Centre of Greater Vancouver, she spoke about her work with Israeli children, where she created a special program called Children’s Tribe. Inspired by ancient tribal traditions, it focuses on group-building activities for children and youth and connects them to nature. This type of programming was of interest to Camp Shalom, as it has always focused on nature education and teaching values that foster appreciation and respect for the environment. So, during the two weeks of JCC Camp Shalom’s 2016 winter session, Nenner volunteered to work with all age groups. 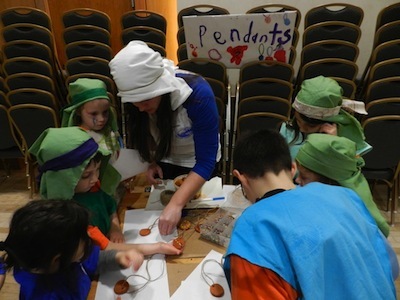 During the winter camp, Nenner created many activities, including a quest for Big Foot at Cypress Mountain, where campers learned to follow tracks in the snow, and a “tribe day,” where the youth campers (grades 4-7) became the Spirit Eagle Tribe – each child had a role to fulfil, learned a job and shared with others. Meanwhile, with the younger campers (preschoolers), Nenner ran a Chanukah storytelling session, during which the children had the chance to dress up and play some of the roles in the story. The highlight of the week was a camp-wide celebration of Chanukah as in biblical times, which included booths and activities such as ceramics, dance and Olympic games. Nenner’s goal in her work is to develop creative thinking in children and to show them the positive effect of making social connections in a group. This aligns exactly with JCC Camp Shalom’s values, so the camp could not have been more excited to give Nenner a chance to demonstrate her craft. During her time as a volunteer, the campers laughed and played, and created an environment that fostered positive self-image and growth. “Inbal quickly became part of our Camp Shalom team and was loved by the campers and staff alike,” said Ben Horev, JCC Camp Shalom director. Nenner has since returned to Israel, but JCC Camp Shalom is taking the necessary steps to ensure that she will return to the JCC in the spring. Not only did she enjoy her experience with the camp, but she was an amazing asset to the camp program, translating the camp’s values into meaningful activities from which the children grew and learned in an experiential way. For more information about JCC Camp Shalom and its programming, contact Horev at [email protected]. How much does a steak really cost? Or chicken nuggets, or a plate of hummus? New research by Prof. Ron Milo and Alon Shepon of the plant and environmental sciences department of the Weizmann Institute of Science, together with Prof. Gideon Eshel of Bard College in New York, took a look at the figures – including the environmental costs – of the different foods we eat. The research appeared in Environmental Research Letters. The data for the study came from figures for cattle and poultry growing and consumption in the United States. To compare, the researchers calculated the nutritional value of each – usable calories and protein – versus the environmental cost. The latter included the use of land for fodder or grazing and the emission of greenhouse gases in both growing the food and in growing the animals themselves. Chickens, according to the study, produce much more edible meat per kilogram of feed consumed, and they produce their meat faster than cattle, meaning more can be grown on the same amount of land. For every 100 calories and 100 grams of protein fed to beef cattle, the consumer ends up with around three calories and three grams of protein. For poultry, that figure is about 13 calories and 21 grams of protein. The researchers then asked what would happen if the entire population of the United States were persuaded to change their diet from a beef-heavy plan to one based on chicken. Their answer: it would be possible to feed 40% more people – 120 to 140 million more people – with the same resources. What would happen if the same population was persuaded to adopt an entirely plant-based diet? That is, instead of using land to grow cow or chicken feed and then eating the animals, to use that land to grow nutritional crops – mainly legumes, including peanuts, soya, garbanzos and lentils. These can supply all of a person’s nutritional requirements, except vitamin B12, which can be obtained from nutritional yeast. A separate study, published in Environmental Science and Technology – “Environmentally optimal, nutritionally aware beef replacement plant-based diets,” by Milo, Shepon, Gidon Eshel and Elad Noor – suggests that an extra 190 million people could eat off the same environmental resources in this way. Milo’s research is supported by the Leona M. and Harry B. Helmsley Charitable Trust; Dana and Yossie Hollander, Israel; and the Larson Charitable Foundation. Milo is the incumbent of the Charles and Louise Gartner Professorial Chair. Voters in the United Kingdom – well, in England and Wales, at least – have decided to quit the European Union. The referendum last week turned British politics, and world economic markets, upside down. The potential for a Scottish withdrawal from the United Kingdom is again front and centre. More than this, politicians and commentators worldwide are extrapolating the vote’s meaning across Europe and North America to try to comprehend the potential impacts of a coalescence of disgruntled, anti-elitist, populist, nativist and xenophobic tendencies. Already, the result seems to have given licence to some people to act out on xenophobic hatred, with numerous incidents of verbal and physical assaults against visible minorities reported across Britain in just the couple of days following the referendum. Among those who supported the losing “Remain” campaign are some who threaten to move to Canada. This is a default for Americans and now, apparently, Brits who dislike the democratic outcomes in their own countries. The Canada strategy is much talked about but rarely executed. Ironically, people from countries that move toward exclusionary practices and tightened immigration policies assume that Canada is an uncategorically welcoming place that would greet them with open arms. On Canada Day, of all times, we should take it as a compliment that our reputation is one of haven and acceptance. And yet … while Europe may be aflame with xenophobia and demagoguery, Canada is not immune to strains of something nasty. The current example comes from none other than Canada’s Green party. For a movement that ostensibly subscribes to the precept of thinking globally and acting locally, the policy resolutions for the party’s August convention are starkly parochial. Only two items proposed for consideration approach foreign affairs issues – and both attack Israel. One resolution calls for the party to join the BDS movement to boycott, divest from and sanction the Jewish state. More hypocritically still, the Green party is seeking to have the Jewish National Fund of Canada’s charitable status revoked. That a Green party would target one of the world’s oldest and most successful environmental organizations is symptomatic of something irrational in the mindset of those who promulgated the resolution. Whether it advances to the convention floor – and what happens then – will tell us a great deal about the kind of people who make up the Green Party of Canada. In a world where human-made and natural catastrophes seem unlimited, from the entire population of Green party members across Canada, only two statements of international concern bubble to the surface – and both are broadsides against the Jewish people. Five years ago, Vancouver set the goal of becoming the greenest city in the world by 2020. According to the 2014/15 update to the Greenest City 2020 Action Plan, as well as research being conducted at the University of British Columbia in collaboration with Ben-Gurion University of the Negev, there is a long way yet to go. Kissinger is the head of the Negev Centre of Sustainability and a faculty member in the department of geography and environmental development at BGU. 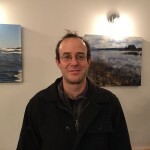 He completed his PhD in urban and regional planning at the School of Community and Regional Planning at UBC and returned last summer for a research leave that continues to this coming summer. Not needing to teach or focus on other administrative tasks while he’s here, Kissinger said, “My time here is focusing on research. My own goals are reading a lot, thinking a lot, writing a lot.” He is working on a book while at UBC, as well as engaging in projects with colleagues here. Kissinger is also researching urban “metabolism,” which “looks at the flow of resources into a city and looks at the city as a living organism, and asks questions of what is being consumed, who is consuming it and what is being emitted,” he explained. The reason for the relative lack of collaboration is largely financial, said Kissinger. It has nothing to do with factors such as the boycott, divestment and sanction movement against Israel, for example. The worst oil spill in Israel’s history was the unplanned backdrop for a recent international conference on green energy held in Eilat, the country’s southernmost city. A busy port and popular resort city located at the northern tip of the Red Sea, Eilat is at the epicentre of the Jewish state’s renewable energy industry. The Eilat-Eilot Green Energy Sixth International Conference and Exhibition, held Dec. 7-9, was the culmination of six events that comprised Israel Energy Week and offered participants from around the globe a concentrated encounter with the emerging world of alternative energy in Israel. The conference focused on challenges facing the renewable energy industry, including storage and supply of electricity, development of methods to manage electricity flow and financing to advance projects. It also focused on the key role renewable energy plays in the southern Arava, a stretch of Negev Desert from the Dead Sea to the Gulf of Aqaba in which Eilat and the Hevel Eilot Regional Council are located. This arid, sun-drenched area is Israel’s main locale for sustainable development and functions as an international showcase for Israeli innovation in the field of green energy. According to Udi Gat, head of the Hevel Eilot Regional Council, the area has already reached nearly 60 percent daytime energy independence and in eight months will generate nearly 100 percent of the energy consumed each day in the southern Arava. By 2020, the municipality and regional council anticipate that the area will be completely energy-independent and free of fossil fuel and carbon emissions. “We want to generate more electricity, even beyond the needs of Eilat and the regional council. We want to help the country produce electricity from an inexpensive source – the sun – and to be Israel’s electricity storehouse or ‘bank,’” Gat said. The importance of achieving energy independence was conveyed to the conference in a dramatic way when, four days prior to the start of the gathering, an oil pipeline ruptured during maintenance work at a construction site about 12 miles north of Eilat. Five million litres of crude oil spilled out and fouled an estimated 250 acres of scenic desert, including a nature reserve. Delicate coral reefs beyond the nearby shoreline were also threatened.